Outdoor Kitchen is a term used for a wide variety of meanings. 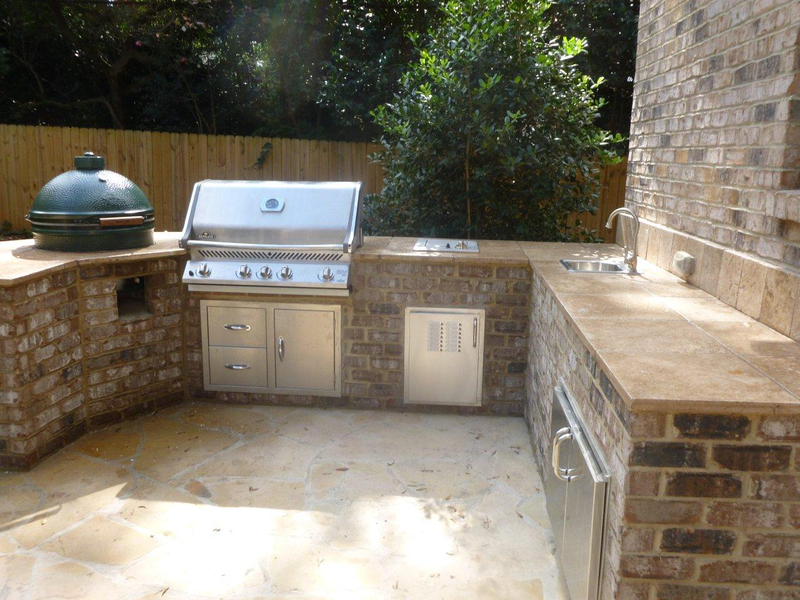 In Charlotte, NC, an outdoor kitchen is used generally to imply a built-in grill station that includes a counter top, a stone or brick cabinet, and a grill. The smallest outdoor kitchen is about 5 linear feet wide and 2’6″ deep. The term outdoor kitchen can also imply not only a built-in grill, but a full range of appliances that people want to incorporate into their outdoor living space. It’s not uncommon for Archadeck of Charlotte to install a refrigerator, ice maker, warming drawer, side burner, and even keg orator into the cabinet. Of course each additional appliance requires the cabinet to be larger and therefore increasing the cost. Over 80 percent of all of the outdoor kitchens we design and build every year are constructed with a stone veneer while the majority of the remaining 20% is a brick veneer to match the house walls. The counter tops range from Travertine to granite. The smaller outdoor kitchens (excluding the appliances) will run around $3,000 and can go upwards of $10,000 driven by size, materials, and features! Where should I put my grill on my patio or deck? 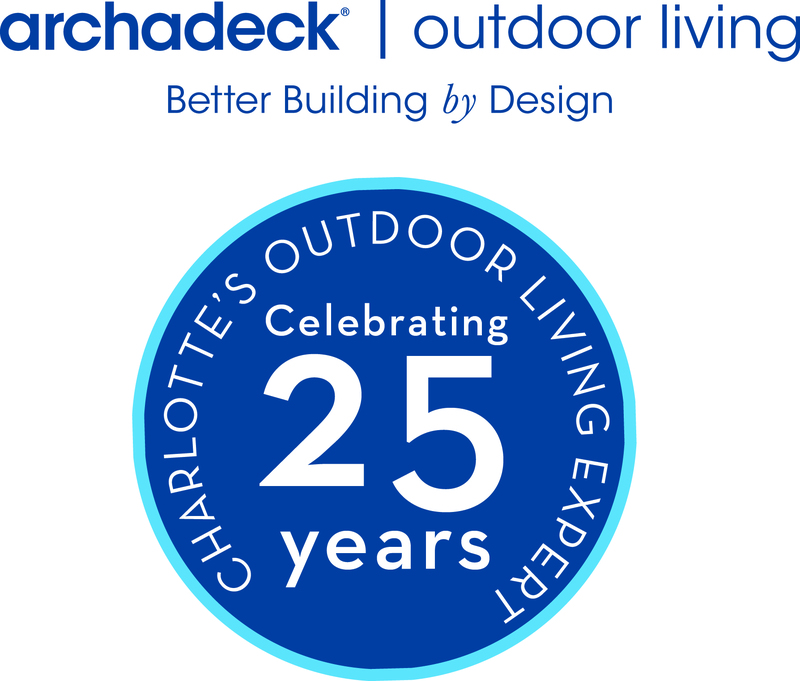 A common question we get at Archadeck of Charlotte is where should I place my grill on my patio or deck? The answer we provide is based on asking a few more questions. Is this going to be simply a grill without an outdoor kitchen attached to it? How often do you grill? Is your grill aesthetically pleasing to where it should be highly visible or more subdued? What is your exterior cladding, vinyl, stucco, wood, or brick? Do you mind being out in the rain periodically?